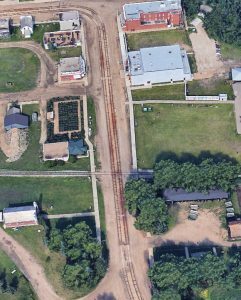 Fort Deadmonton, the guide to surviving a zombie apocalypse by utilizing Fort Edmonton Park, is now updated to include a full overview of 1920 Street and 1905 Street. Next, will be to focus on the 1885 Street overview, where some great buildings reside for finding defensive weapons, creating items to further secure buildings and spots to raise livestock. 1905 Street has so many new additions, that not all are added in the overview itself; space and loading times just does not allow for them. However, you will find a brief blurb about those buildings at the bottom of the page. Also, any building that is important to surviving at Fort Deadmonton, will have its own "details" page whether it is in the overview or not. The Fort Deadmonton overview provides a glimpse into how to make use of the streets of Fort Edmonton Park to help survive a zombie apocalypse. It's always good to prepare, and remember, the past could be the key to your future. * Please note that Deadmonton.com is in no way affiliated with the City of Edmonton, the Fort Edmonton Foundation or Fort Edmonton Management Company. Fort Deadmonton attempts to look at the park in a new perspective, and enjoy it from a different angle, while also providing a bit of history on the buildings and items contained within Fort Edmonton Park.